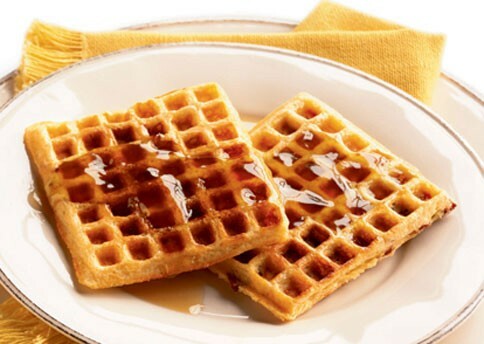 Whole Wheat Cinnamon Raisin waffles: good, easy to make. Nice with cinnamon sugar sprinkled on instead of syrup. Very soft waffles. I used lemon yogurt for added flavor. Released from iron very easily. surprisingly good.Waffles are thinner than usual. We had clams left over from making the clam and sausage pasta from SFAH (on which I’ve yet to report), so I thought I’d give this a try. The recipe calls for canned clams, but I used cooked, fresh clams. Along with diced potatoes, the hash calls for bacon, onions, parsley, and thyme. This is added to a batter of eggs, clam juice, Worcestershire sauce, and hot sauce. Mr. Nightshade had his with fried eggs on top, I had mine plain. Although they look dry in the photo, that’s just the crispy exterior, they were moist and hash-like inside. I mostly tasted potato and bacon, with only a hint of clam. Next time, more clam. Or next time, a corned beef hash waffle. I served Ottolenghi’s sweetcorn slaw on the side. 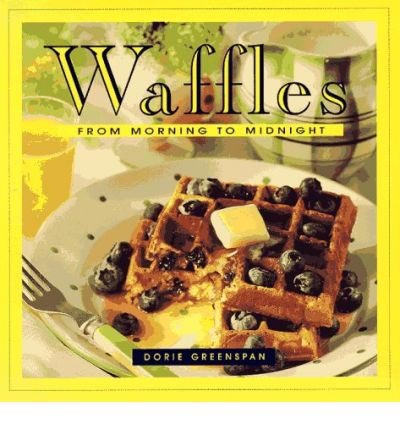 Dorie Greenspan's Waffles is packed full of informative headnotes, practical advice on serving and storing and 100 foolproof new ways to make and adapt waffles, including savoury and sweet ones.